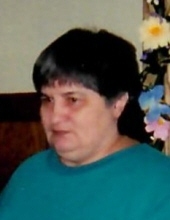 Bonnie J. Goding, of New Millport, passed away Friday March 15, 2019 at UPMC Montefiore Hospital in Pittsburgh. Born February 9, 1948 in Knox Township, she was the daughter of Frederick Rolland Lumadue and Maude Anna (Hugill) Lumadue Warwick. Mrs. Goding was a homemaker. She attended the Kellytown Union Church, participated in Skills of Centre County, collected angels and loved crafting and making things for other people. She was first wed to Thomas James Knepp Sr. who preceded her in death. She then wed Sid Goding who also preceded her in death. In additions to her husbands she was preceded in death by her parents and her stepfather Samuel Warwick Sr. Surviving are three children: Thomas James Knepp Jr. and his significant other Teresa Grise, Timothy Shawn Knepp and his significant other Jesse Nicks and Tina Marie Basye and her husband Mike all of Ohio, as well as 6 grandchildren and 13 great grandchildren. In addition, she is survived by 3 siblings: Elva Rowles and her husband Barry “Hoss” of Boardman, John Lumadue of DuBois and James Lumadue and wife Arlene of Hanover and 4 step-siblings: Martha Hertes and Charlotte O’Shell both of Butler, Calvin Warwick and wife Gloria of New Castle and Samuel Warwick Jr. and wife Susan of Clearfield. Funeral Services for Bonnie Goding will be held at the Chester C. Chidboy Funeral Home, Inc. of Curwensville on Tuesday March 19, 2019 at 2:00 PM, with Pastor Robert Witherow officiating. Interment will be in the Fruit Hill Cemetery New Millport. To plant a tree in memory of Bonnie J. Goding, please visit our Tribute Store. "Email Address" would like to share the life celebration of Bonnie J. Goding. Click on the "link" to go to share a favorite memory or leave a condolence message for the family.